An interesting debate in my mind has boiled for some time – how much of what is ‘you’ comes from genetics and how much from environment. My parents love of music certainly infected me too and likely my love comes from both sources. As a kid mom played a lot of classical music and show tunes while dad had a thing for ragtime and easy instrumentals. When you are growing up and in the throes of soaking up the culture of your generation the farthest thing you want to admit to liking is the music of your parents. 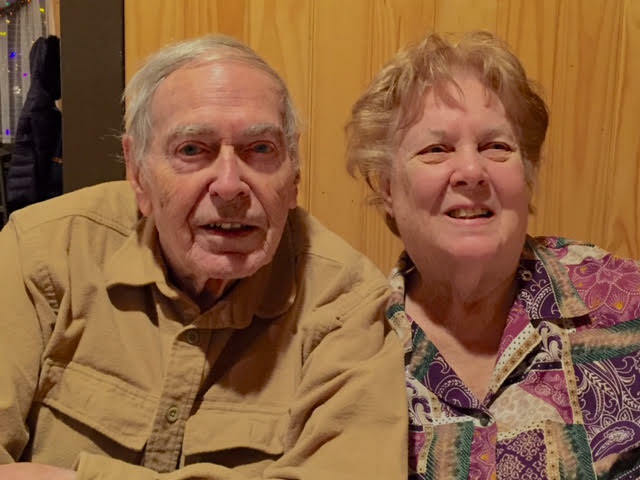 As an adult I still love the Beatles plus rock and roll, but darn if an awful lot of the things mom and dad liked sounds pretty good today – sort of like comfort food for your ears taking you back to a more innocent time. So much music evokes feelings and memories personal to you – bygone mundane things that you would give a year of your life to revisit. The first real softening of the musical divide between my dad and I was Herb Alpert & The Tijuana Brass who he and I both liked (though he didn’t like the more rocked up songs and I didn’t like the quieter songs as much). With the recent passing of my dad, I decided that as a tribute to him I would make a listing of my favorite ‘elevator music’ songs (though today’s elevator music seems to be rock and roll from my past). I know some of these would be too jumpy for him, but generally I know he would be pleased to know that I still love instrumentals. As a crabby old white guy, I often feel that why I don’t like today’s hits is that it is based on dance-worthy beats as opposed to hum-able tunes which I miss. Dad, I hope you enjoy these (and mom, we’ll do classics another time). Mr. Goodwin was a British composer mostly known for his film music (Those Magnificent Men In Their Flying Machines). He did the music for the four 1960s movies starring the great Margaret Rutherford as the Agatha Christie character Miss Marple – an elderly busybody with a knack for solving murders. This may just be my favorite all-time piece of music that isn’t by the Beatles – it is just so darn jaunty and it never fails to make me grin. Hard to believe that it was produced by George Martin – the Beatles producer. From the sixth TJB album (a #1 in 1966), this is a cover of a tune by German orchestra leader Bert Kaempfert called “Happy Trumpeter”. While the original version is more syncopated, this version is more like a march and no doubt stirs up my Teutonic blood (though the Lowe half of me keeps me firmly in check thankfully). As with my #1 song, this just makes you happy and want to nod your head from side to side in time with the music. Look at my last month’s post about fave American bands for a capsule about the history of the TJB. Yet another cover of a Bert Kaempfert original (written as Bernd Bertie). This song was used as the theme to Gene Rayburn’s game show – The Match Game (dumb Dora was soooo dumb that she didn’t know a … from a blank – you fill in the blank and try to match a celebrity panel). Vaughn’s cover charted at #13 in 1962 and had more punch than the original. Vaughn was a member of the 1950s vocal group the Hilltoppers, but left in 1955 to become the musical director of Dot records where he would chart 28 records of his own. One of the earliest Canadians to breech the U.S. market, Faith had a wonderful way with lush string-laden orchestrations with this 1960 #1 record (for nine weeks) being his apex. While he did chart a few singles, it was his myriad albums for Columbia records that are most remembered – most vinyl collections of the era had at least the 1963 album Themes For Young Lovers. Max Steiner wrote the tune (Mack Discan wrote the lyrics not heard here) for the 1959 Troy Donahue/Sandra Dee romantic drama. If these guys sounded a lot like the Tijuana Brass (with less trumpet and more marimba) there is a good reason – they were both mostly the studio greats we now call The Wrecking Crew who also played on the TJB records (the touring bands generally didn’t play on the records). Indeed leader Julius Wechter played on records by the Beach Boys, Sonny & Cher, etc. After playing marimbas on the first TJB hit “The Lonely Bull”, Alpert encouraged Wechter to form his own hispanic theme band (though neither were Latino). They became a hit on Alpert’s (and Jerry Moss’) A&M label. This song charted #15 on the adult contemporary charts in 1966 and can be found on the fine Watch Out! LP that stood incongruously in my collection next to my Rolling Stones albums. The composer credit on the record is Popp and Lucchesi. It is a cover of a big 1950s hit for Lou Busch who recorded as Joe “Fingers” Carr for Capitol records as a ragtime pianist. Here is a classic example of a song finding its time. Canadian pianist Frank Mills recorded this bright original in 1974 but it did nothing. It finally became an accidental big hit in Canada in 1978 and then crossed the border to the U.S. where it charted at #3 in the spring of 1979. He had two other small U.S. hits but has continued on as a performer while not charting. Back when radio played a potpourri of styles side by side, you might segue from this to the Bee Gees to Dolly Parton, etc. – made you a more rounded music fan than today’s more narrow “if you like this then maybe you will like that” computer brainwashing. More of a jazz player, German pianist Jankowski wrote this million selling 1965 hit known as “Eine Schwarzwaldfahrt” in his native tongue. As with all our songs thus far in this list, it is a happy ‘up’ sort of tune that raises your spirits which I have always found a good way to break out of a funk. Listen to music, it is cheaper than drugs and psychoanalysis. Jankowski was essentially a U.S. one hit wonder but continued to release albums till his death in 1998 at age 62 of lung cancer. This is the most wistfully dreamy record on our list. The Hollyridge Strings existed as a studio creation of Capitol records that would mostly put out albums of orchestrated rock hits (Beatles, Elvis, etc.) to make them tamer for mom and dad. While Mort Garson and Perry Botkin, Jr. did some of their work, for me it was the Stu Phillips led records that were the best. This song comes from a tribute to the music of the Four Seasons with the eerie intro violins drenched in echo. One Krieger family activity would be going to a large mall when such things sprang up in the latter part of the 1960s (Villa Italia or Cinderella City) and I clearly remember hearing this as background music while strolling with mom and dad and sister Cheryl (mom – please please please don’t make me sit in the ladies department holding your purse while you try on clothes – NOOOO!). The picture in this video says mono, but wow that glorious 1962 wide stereo sounds amazing even today 55 years later. When I look up these folk who did these records, I am struck by how many of these talents passed at my pre-66 age or even younger. Riddle left the world at age 64 in 1985 (liver disease), but before that he had an wonderful career spanning everything from arranger for Capitol artists like Nat King Cole and Frank Sinatra to later success working with Linda Ronstadt in the 1980s. He also had a successful history arranging music for film and TV including this excellent theme to a 1960s show about two men travelling the country in their Chevy Corvette. This #30 1962 hit was written by Riddle and featured an insistent descending bass line and a piano augmented by strings. Here is a man who only made it to age 56 (passing of a stroke in 1980), but German Kaempfert still had a long influential career including producing a session for a Brit named Tony Sheridan who brought along his backing band to help out on his 1961 single – “My Bonnie”. In that session the unknown Beatles were also allowed to record an instrumental (“Cry For A Shadow”) and a John Lennon vocal version of “Ain’t She Sweet”. Kaempfert was also an accomplished songwriter composing the tunes for “Strangers In The Night”, “Danke Schoen”, “Wooden Heart”, etc. This jaunty record only managed to place at #67 in 1962 here in the U.S. where he had hit #1 previously with “Wonderland By Night”. Few may know the title to this song and even fewer the composer, but there is no mistaking that agitato string intro that never fails to thrill. This was the main title theme to the classic 1958 William Wyler western starring Gregory Peck, Charlton Heston, Jean Simmons and in his best supporting actor Oscar role as Rufus Hannassey – folk singer (and snowman in Rudolph The Red-Nosed Reindeer) Burl Ives. Jerome Moross’ musical score was also nominated for an Academy Award. Moross composed music for films from 1948 till 1969 with this his best known. Six months before the summer of love in 1967 your’s truly was buying this album by producer Bob Crewe fronting a group that sound suspiciously like the Tijuana Brass which in hindsight likely means that they were both using the Wrecking Crew studio musicians. This song was a Sid Ramin/Tony Velona composition that hit #15 and was used in a diet Pepsi commercial. Velona’s lyrics can be heard on the later Andy Williams vocal version. Crewe was mostly known for producing and co-composing hits for the Four Seasons (“Walk Like A Man”, “Big Girls Don’t Cry”) among others. Going head to head with the Beatles in 1964, this record was a #15 hit for New Orleans trumpeter Hirt. The song was composed by Russ Damon and seems to evoke the feel of doing jumping jacks or something equally boppy. Hirt charted 22 albums for RCA Victor in the 1950s and 60s and had his own club on Boubon St. in New Orleans. He performed in several of the early Super Bowl half-time shows including at #XII in January of 1978 when the Broncos played the Cowboys. Ronald Binge was an arranger for conductor Mantovani who then composed this pastoral piece in 1951. It won him the Ivor Novello award. Annunzio Mantovani was hugely successful with his cascading strings sound. He is reported to have had six albums in the U.S. top 30 simultaneously in 1959. His London label records were often used in the pre-rock era to demonstrate sound equipment due to their dynamic stereo. His biggest hits were “Charmaine” and “Around The World”. This song was another mall music staple. There can’t be a kid of the 1950s who doesn’t know at least six songs by this genius whose music seemed to be on every black and white TV show of the era (and as intros to late night movies in the 1960s). You many not know the names of the songs but we all know this, “The Typewriter”, “Blue Tango”, “Sleigh Ride”,”Fiddle-Faddle”, “Bugler’s Holiday”, etc. Anderson studied at Harvard in the 1920s and 30s before hitting it big in the 1950s. He died of cancer at age 66 in 1975. Wow does this have a stirring intro before giving way to the dual pianos of Art Ferrante and Louis Teicher. If this doesn’t give you chills then you aren’t reachable. Released late in 1960, it hit #2 as the theme from the Otto Preminger movie about the founding of the modern state of Israel. It was composed by Ernest Gold. Ferrante & Teicher met while studying music at Juilliard in New York in 1930. They continued to perform together till retirement in 1989. I very stupidly never asked my dad, but I would have to wonder if this wasn’t one of his favorite recordings. It seemed to encapsulate everything I remember about my dad when he played the piano (though he was mostly an organist – and a darn fine one). The ragtime piano featured a driving left hand bounce with a very catchy (and very fast) right hand melody lead. This 1921 composition was by L. Wolfe Gilbert and did have words but is generally played as an instrumental. Del Wood (Polly Adelaide Hendricks Hazelwood) is credited with being the first female instrumentalist to sell a million records (1951). She is known as Queen of the Ragtime Pianists (with Jo Ann Castle of Lawrence Welk fame often sharing that title). She passed in 1989 at age 69 having achieved her goal of joining the Grand Ole Opry. This was a 1953 chart hit for Faith which comes from a 1903 composition by Hugo Alfven. You can certainly visualize it being played while Swedish children might dance around the may-pole. This song and the Muppets will always be locked in my mind having seen this with the crazy dancing fuzzy tubes (and the surprise ending, kids!) on Ed Sullivan and the Muppet Show episode 22 (look on youtube). The song was written by New Orleans composer/performer Allen Toussaint and was Hirt’s biggest hit (and his first) hitting #4 while the Beatles owned the charts in early 1964. It earned Hirt a Grammy that year. Oh my, the Lawrence Welk show might have been my Krieger grandparents’ favorite TV show. Boy does it evoke an era with the old folks in the audience watching the polkas and bubbles – and who can forget Myron Floren on accordian? This song had the same accordions and such, but was a bit more (dare I say) rockin’. It managed to hit #1 in early 1961 giving Welk the distinction of being the oldest artist (at 57) to have a #1 chart record up till then. Heino Gaze wrote the song as “Tivoli Melody”. You can credit his music director George Cates for this hit, however, as Welk had to be talked into recording it. His recording career amazingly started in the 1920s. If I had to pick one artist that my dad loved more than any other, I would assume it would have been Henry Mancini who was a genius at writing catchy tunes for movies. This song from the 1962 John Wayne film Hatari earned Mancini a Grammy (one of his lifetime 20). This was a much goofier song a la “The Pink Panther Theme” as opposed to his usual themes like “Moon River” and “Days Of Wine & Roses”. During his recording career he put out over 90 albums. While this song as the B-side to “What Now My Love” only charted at #27 in 1965, it always felt like a bigger hit as it was used extensively on The Dating Game TV show. This delightfully bouncy tune was composed by Julius Wechter of The Baja Marimba Band. It appeared on the TJB LP Going Places in 1965 which was one of their best records (along with Whipped Cream & Other Delights). From October 16, 1965 through April 29, 1967 the TJB had at least one album in the Top 10, making 81 consecutive weeks. They sold over 13 million records in 1966 alone and in that year they had five albums at the same time in the top 20 on the Billboard album chart which it is said has never been repeated. With a title like that you would think it would be fairly somber, but it is quite the opposite being a light and frothy song making the listener think of a busy Parisienne gayly strutting down the sidewalks and through the bistros. The song was written by Marguerite Monnot with added lyrics that are seldom heard. Les Baxter’s 1956 release hit #1 for six weeks (chart fans may want to know that the next #1 was Elvis’ “Heartbreak Hotel”). Baxter was mostly involved in movie music for many years. Well this is the one song on this list that I know would have been too rockin’ for dad, but it has all the elements of a great record – driving drums over a descending bass part with echoy strings playing the main melody. A heavenly choir takes over at times to be supplanted by pounding piano going then back to the strings. This record only managed a #37 placement in 1968 though it feels like it was more popular here in Colorado on KIMN. This was the year of “Love Is Blue” so instrumentals were not totally out – just fading by then. Michel Polnareff wrote the song as a vocal. French orchestra leader Lefevre had a slightly bigger hit with “The Rains Came” ten years earlier. Here is another song that seems like a much bigger hit than the national charts suggest. I doubt there is a single child of the 1960s worth their salt who couldn’t whistle this stirring tune yet it only hit #20 in early 1958 for the bearded bandsman. As an oboe player, I was always excited that such a famous man also played the oboe. He was best known for his series of ‘sing-along’ records and TV show. This song was a medley of two songs – “March From The River Kwai” written by Malcolm Arnold for the 1957 film about prisoners of war in WW II and “Colonel Bogey March” from 1914 by F. J. Ricketts.